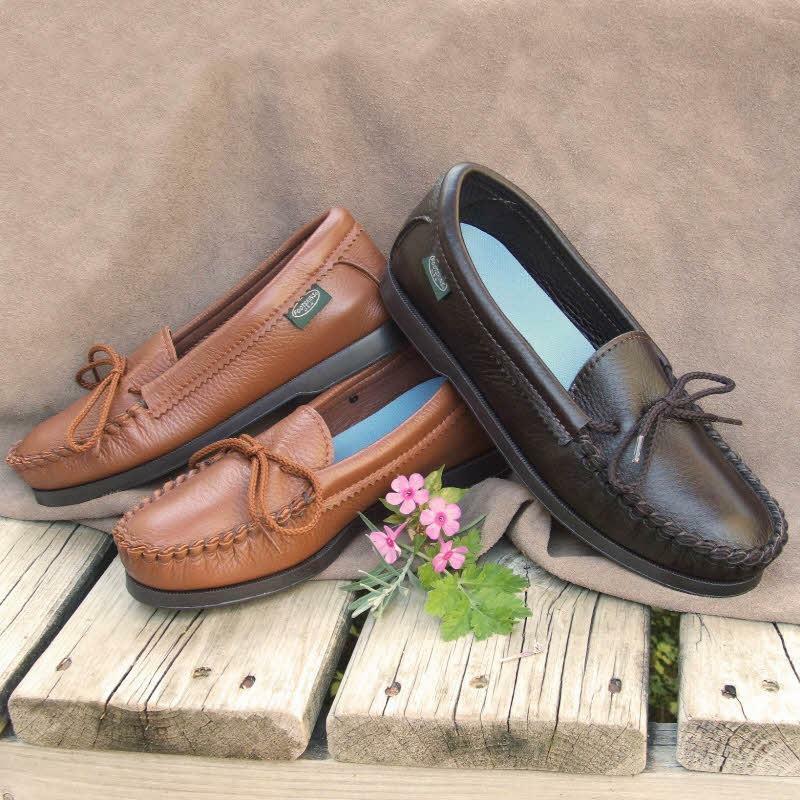 This customer favorite, our Women's Slip-On Shoes feature SorboAir® insoles which add cushion and arch support to the comfort of moccasin styling. Flexible, slip-resistant TPR rubber soles are both glued and stitched. As with all of our footwear, this style is resoleable. Made with soft double layer deerskin leather or deertan leather, both of which readily conform to the foot for a comfortable fit. Top picture from left to right shows Saddle and Brown deerskin. Second picture from left to right shows Brown and Black deertan. These slip-on shoes are also available in tumbled cowhide. The cowhide leather is firmer for more support. Our cowhide version now has a fringe on the toe. Third picture shows cowhide in Black and Brown from left to right. "My shoes have arrived. They are beautiful and extremely comfortable...I do a lot of mail order and Internet orders. Your customer service tops them all. Thanks again for being such a wonderful company to work with."